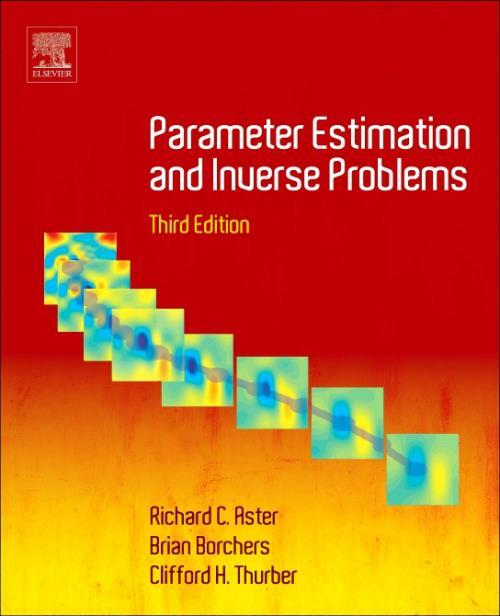 Parameter Estimation and Inverse Problems, Third Edition, is structured around a course at New Mexico Tech and is designed to be accessible to typical graduate students in the physical sciences who do not have an extensive mathematical background. The book is complemented by a companion website that includes MATLAB codes that correspond to examples that are illustrated with simple, easy to follow problems that illuminate the details of particular numerical methods. Updates to the new edition include more discussions of Laplacian smoothing, an expansion of basis function exercises, the addition of stochastic descent, an improved presentation of Fourier methods and exercises, and more. Professor Aster is an Earth scientist with broad interests in geophysics, seismological imaging and source studies, and Earth processes. His work has included significant field research in western North America, Italy, and Antarctica. Professor Aster also has strong teaching and research interests in geophysical inverse and signal processing methods and is the lead author on the previous two editions. Aster was on the Seismological Society of America Board of Directors, 2008-2014 and won the IRIS Leadership Award, 2014. Dr. Borchers' primary research and teaching interests are in optimization and inverse problems. He teaches a number of undergraduate and graduate courses at NMT in linear programming, nonlinear programming, time series analysis, and geophysical inverse problems. Dr. Borchers' research has focused on interior point methods for linear and semidefinite programming and applications of these techniques to combinatorial optimization problems. He has also done work on inverse problems in geophysics and hydrology using linear and nonlinear least squares and Tikhonov regularization. Professor Thurber is an international leader in research on three-dimensional seismic imaging ("seismic tomography") using earthquakes. His primary research interests are in the application of seismic tomography to fault zones, volcanoes, and subduction zones, with a long-term focus on the San Andreas fault in central California and volcanoes in Hawaii and Alaska. Other areas of expertise include earthquake location (the topic of a book he edited) and geophysical inverse theory.